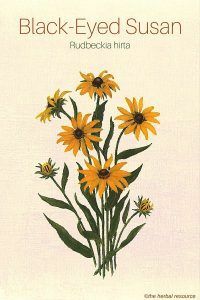 Other Common Names: Coneflower, brown-eyed Susan, blackiehead, yellow daisy, golden Jerusalem, brown Betty, gloriosa daisy, poorland daisy, yellow ox-eye daisy, blackeyed Susan, gloriosa daisy, hairy coneflower. 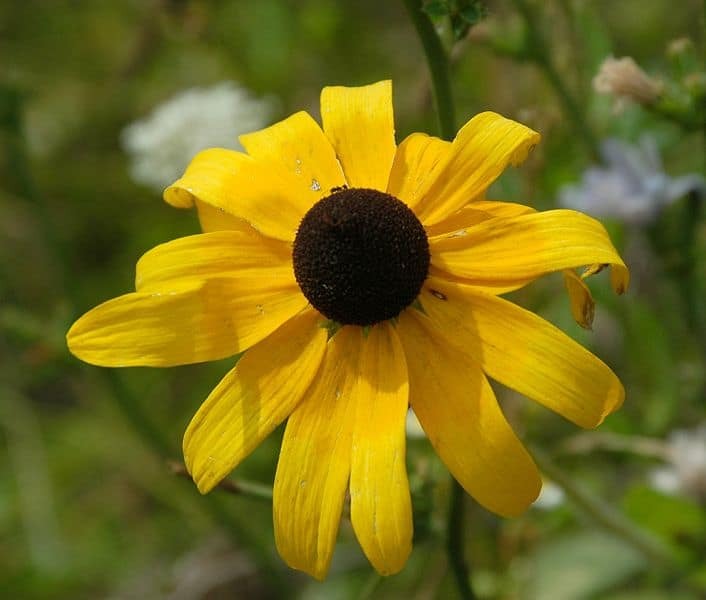 Habitat: Black-eyed Susan is native to the eastern United States but has spread to the rest of North America. This plant is the official flower of the state of Maryland. 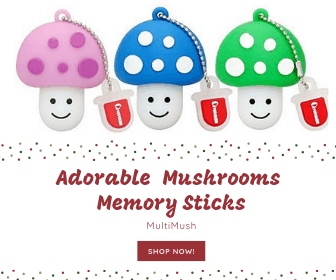 It is a popular garden plant but is also found growing wild in fields and along roadsides. It can reach 2 to 3 feet in height or around 1 meter. The leaves are alternate and mostly basal covered by rather coarse hairs. The flowers are yellow, blooming from June to August. Plant Parts Used: The root and sometimes the leaves. 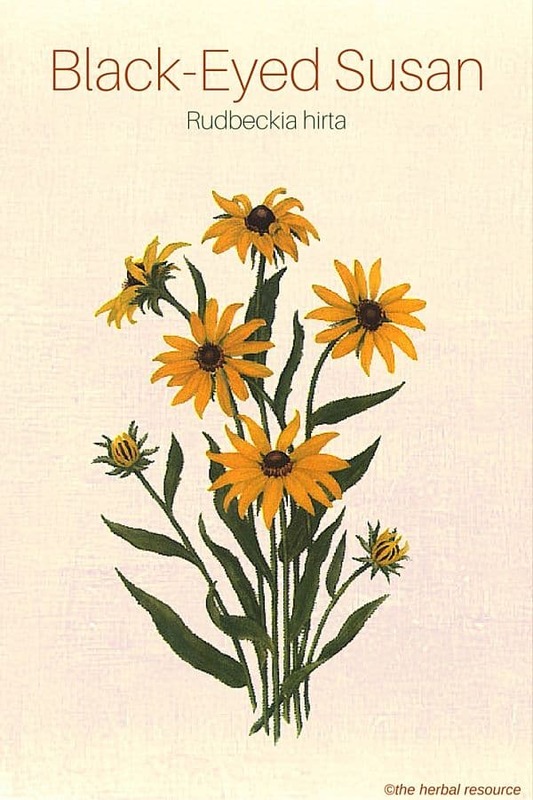 Black-eyed Susan has been used for centuries as a medicinal herb by various native North American tribes to treat a wide range of ailments and even if it is not one of the most recognized medicinal plants it still has its uses in modern herbal medicine. Recent studies indicate that extracts made from the black-eyed Susan root can be beneficial in stimulating the immune system and in that regard being even more effective than the better known medicinal plant Echinacea. This herb has been used to treat some of the symptoms of the common cold, usually in the form of tea or infusion made from the root. The root has been used traditionally as an herbal remedy to rid the body of parasitic worms. The Ojibwa, a Native American tribe also known as the Chippewa, used infusions of the roots to treat worms in children. The Ojibwa also made a poultice or external wash made from this herb as a treatment for snake bites. This plant has diuretic properties and was used by the Native American tribes Menominee and Potawatomi to increase the flow of urine. A juice extracted from the roots has been used to treat an earache. An infusion or tea made from the roots was applied topically as an herbal remedy for minor cuts, sores, scrapes, and swellings. An herbal remedy in the form of an infusion from the roots is used traditionally to treat dropsy. To make a tea, add 5 teaspoons of the dried root to a cup of boiling water and steep for a few minutes then strain the tea to remove the irritating hairs. 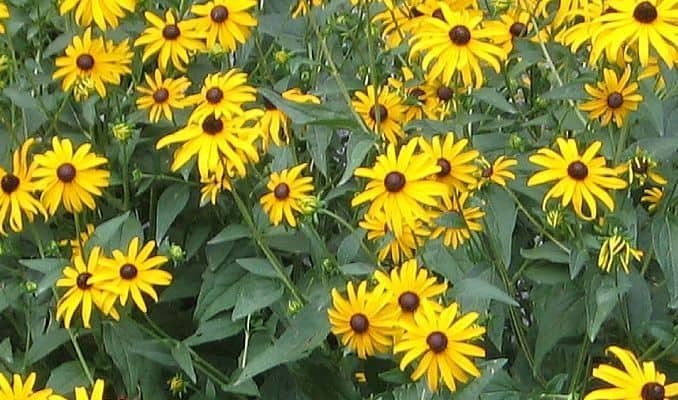 There are no reports of side effects associated with the use of black-eyed Susan root but the seeds are poisonous and are not recommended for human consumption.